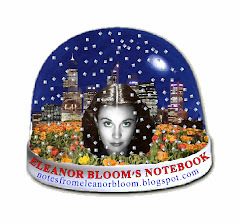 notes from eleanor bloom: Do we hope... or fear? Do we hope... or fear? It was both heartwarming and sad to read how monks protesting in Burma were allowed to see Aung San Suu Kyi on the weekend. Detained Burmese democracy leader Aung San Suu Kyi stepped out of her home in tears to greet Buddhist monks marching past the compound where she is confined by the military junta. Witnesses say armed guards usually block the road leading to the lakeside house, but in an unprecedented move, they allowed about 1,000 monks to walk past the home where she has been detained for most of the past 18 years. Under rainy skies, Suu Kyi walked out with two other women and cried as she paid her respects to the monks as they marched past. The monks stopped outside her home for about 15 minutes and chanted a Buddhist prayer: "May we be completely free from all danger, may we be completely free from all grief, may we be completely free from poverty, may we have peace in heart and mind." 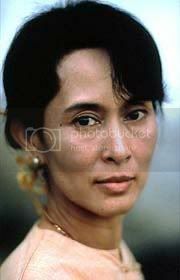 You may recall me writing about Suu Kyi before. She "has not been seen in public since 30 May 2003, when her convoy was attacked by [government-sponsored] thugs". The two women she is confined with are "a senior member of the NLD and her daughter – and their only regular visitors are a doctor who visits them for a morning every two weeks and the person who takes them their food. Their provisions are taken in every day by a young member of the NLD who is thoroughly searched and who hands over the food while being supervised by the police." The monks have been protesting since the 19th. The protesters are calling for the release of political prisoners and demanding that the country's military junta starts negotiations for national reconciliation and brings in greater political freedom. The protests are being led by 5,000 Buddhist monks, who are revered in Burma and were at the head of pro-democracy demonstrations almost two decades ago. More and more people each day are joining the protests. People are forming a human chain around the monks to protect them. So far these protests have been relatively peaceful, although the monks haven't been allowed to go near Suu Kyi's 'home' again. [Yesterday] police set up barbed wire barricades at the end of the road leading to her house and there were two lines of police with a truck and fire engine standing by when the marchers arrived. About 400 people, led by monks, tried to pass but the authorities blocked their passage. Witnesses said two monks stepped forward to try to negotiate with the police but were turned away. The monks briefly prayed before walking in another direction, after which the crowd began to disperse. They were carrying a large yellow banner which read: "Love and kindness must win over everything." The protests were triggered by rising prices for fuel and energy which lead to a 500% increase in the price of cooking gas. The monks, who rely on handouts, "have declared a "boycott" of the military, refusing to accept donations from military officers and thus sending an extremely strong signal to the authorities." What might help changes to, finally, occur with the military regime is that their "current junta leader, Senior General Than Shwe, is 74 and in poor health, a situation that suggests he might soon hand over power. His prime minister is in no better shape and has been temporarily replaced." In a remarkable step, leaders of the Association of Southeast Asian Nations, after years of inaction on Burma, openly expressed their unhappiness that the junta was impeding regional integration and the drafting of an ASEAN charter including human rights protections. China and India, Burma's two main trading partners, are under increasing pressure from the U.S., Europe and many non-governmental organizations for supporting the regime. The U.N. Security Council had its first meeting on the regional dangers emanating from Burma's internal situation, noting among other things that Burma's public health crisis is spreading across its borders, and that the country is a major source of drug and human trafficking. The International Committee of the Red Cross uncharacteristically shed its long-standing principle of confidentiality and publicly blasted the government about conditions in Burma. Plus: The UN's special envoy Ibrahim Gambari is expected to visit Burma in the first two weeks of October when he will request permission to meet Ms Suu Kyi, having been granted permission on his two previous visits. He will report back to the Security Council. The Wall Street Journal concludes its article: as Burma's monks and other protestors risk life and limb by marching against their overlords we cannot simply let this moment slip by. The nonviolent resistance of Burmese inside and outside Burma to the brutal military regime cries out for support, and world leaders must at least vigorously stand with the Burmese people and echo their call for change. If they do not respond to the world's truly non-violent political struggles, they send the message that the world responds only to violence. I am hoping these protests remain peaceful and achieve at least some positive outcomes. These are very, very brave people and my heart goes out to them. It also serves as another reminder for people such as us to be grateful for the wonderful lives we are free to enjoy. Although our society is not perfect, we at least do not live in fear, in prison or in deprivation. 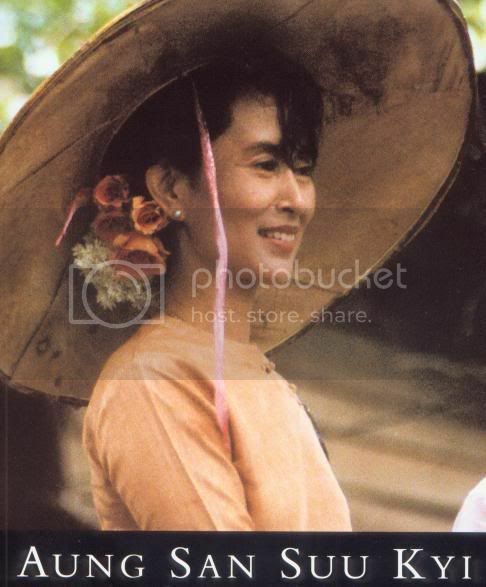 I am also thinking how the people of Burma must love and respect their monks and Suu Kyi, their elected but imprisoned leader who has a spirit of such beauty and such strength. May all their prayers be answered.